Milton, the UK’s leading sterilising and hygiene expert, has been keeping families safe from germs for over 70 years, both at home and while out and about. 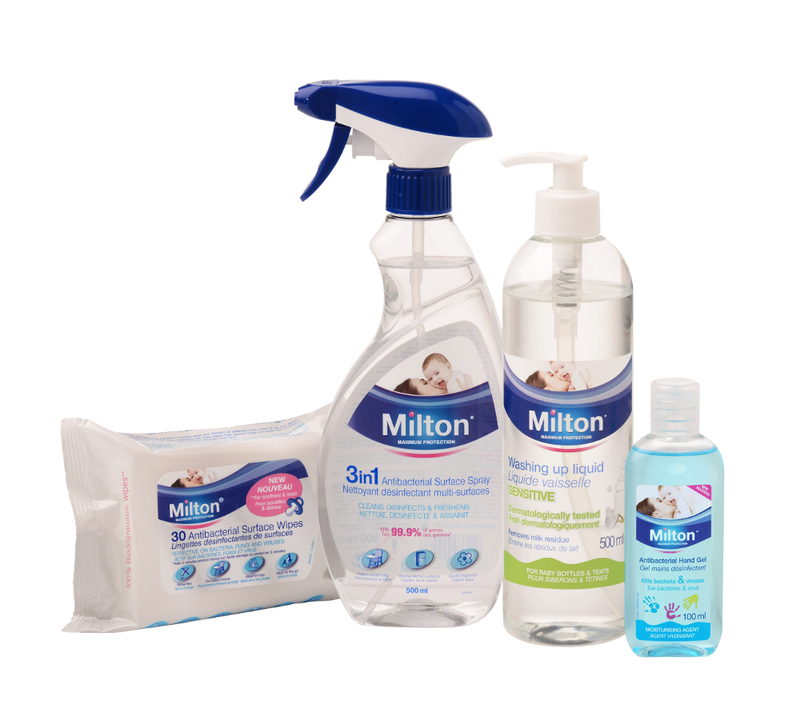 We’re giving one lucky reader an opportunity to win a Milton Hygiene Kit, including Milton Antibacterial Surface Wipes, Milton Antibacterial Hand Gel, Milton Antibacterial Surface Spray and Milton Washing Up Liquid. All of Milton's hygiene products kill 99.9% of germs in seconds including bacterial and fungi. Milton Antibacterial Hand Gel is ideal for use when looking after your baby on the go. It reduces the risk of spreading infection and its non-sticky consistency leaves hands feeling fresh and clean, with an added moisturising agent to protect the skin. Milton Antibacterial Surface Wipes and Spray can be used on highchairs, toys, changing mats. They are also handy for while the go when using public transport and restaurant toilets. All products are available from Asda, Sainsbury's, Superdrug, Tesco and Precious Little One. AND email: info@countrychild.co.uk with your name and address before the 15th July! Winner to be announced 20th July. It could not be simpler. Don't delay enter today!